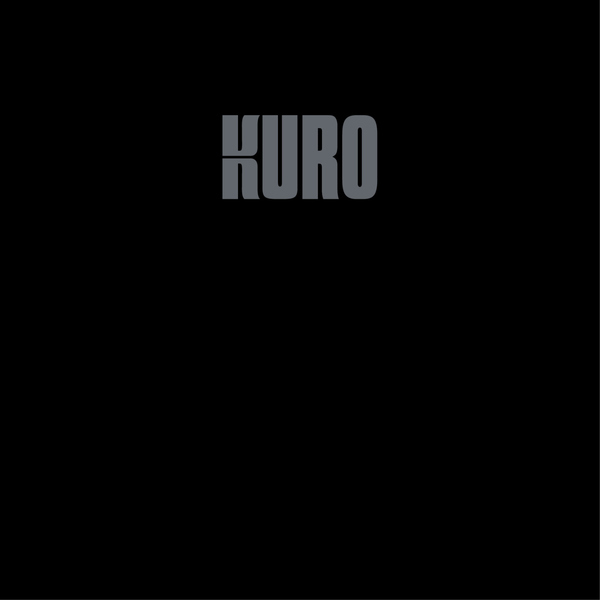 “Kuro take their name from the Japanese word for ‘black’, and their debut release for Rocket Recordings marks an experimental union between two diversely storied yet inherently like-minded musicians. Agathe Max, who hails originally from Lyon, is a classically-trained violinist with a varied back catalogue of studio and live work - running the gamut from spectral ambience to stately soundscapes and adept at summoning dreamstates and drama alike. The Bristol-based Gareth Turner, meanwhile, maintains a busy schedule performing and recording with Rocket Recordings trio Anthroprophh (alongside The Heads guitarist Paul Allen) bass/drums duo Big Naturals, and his solo double-bass project Salope, as well as working as a touring tech for Melvins on their trips to Europe. Yet despite both of these artists’ multi-faceted artistic lives, their partnership was both a natural progression and reflective of an intuitive chemistry. The result of their initial spark is perhaps both artists’ most coherent and captivating work to date. A unique, richly atmospheric and largely improvisatory record that stands proud and defiant of pigeonholing, Kuro is neither elegant chamber music nor intense drone-noise, neither psychedelia nor spiritual jazz, yet with elements of all of the above- dwelling perhaps atop a psychic hinterland between the shamanic vortices of Ashtray Navigations, the wild extrapolations of Sun City Girls and the melancholic richness of The Dirty Three. Yet what comes across strongest of all is the original spark of the partnership, summoning altered states, meditative vibrations and internal narratives by the power of eight strings.